Manchester is the trade capital and an industrial city having a diverse culture. In spite of being a smaller city in comparison to the other in the UK, an extraordinary talent, that too large in number, comes from Manchester. There are many small businesses located in the city and every business has maintained a standard in their products and services. Technology, automotive, aerospace, tourism, and chemicals are among the few chief industries in Manchester. Global players in the auto sector; Land Rover, Rolls-Royce, Jaguar and Bentley have their major plants in Manchester. The city is also popular all over the globe because of its Universities and football. DNS Accountants is among the top 50 accountancy firms in Manchester and our services range from bookkeeping to auto enrolment to tax consultancy. We have a learned team of chartered accountants in Manchester that works with private clients, contractors, freelancers and small businesses to manage their funds and provide accounting and taxation consultancy. Each business falls under a different category and there are different laws and regulations that govern it. For example, the rules to store alkaline and base chemicals are very different to those of acids or an auto component manufacturer may be eligible for some exemption which may not hold true for other industries. We believe in servicing our clients in the best possible way and to do so we mould our strategy depending on the needs of the clients. Our accountants in Manchester city center bring a fresh viewpoint to complex tax issues arising during the course of business. Our capabilities and knowledge as accounting professionals in longsight, Manchester has helped many small businesses accomplish their financial goals. We invest time to understand the needs of our clients and take steps accordingly to run a small business profitably. We understand that for a small business owner in Manchester, the optimal use of time, energy and resources is the key to success. Sound accounting is very essential for any business, regardless of the industrial sector, and we are the best tax accountants in Manchester. We firmly believe that small businesses should focus more on growing the business and not worry about their accounting needs or tax obligations. Our team of small business accountants in Manchester aspires to build long term relationships with our clients and save their taxes and money in every probable situation. What needs to be done to set up a business? – Legal formalities, business bank account, and employee’s payroll etc. Finding an accountant who gives a fixed price can be difficult. We offer a complete service package for small businesses in Manchester and modify accounting solutions for each industry depending on their specific accounting needs. DNS Accountants works on a consistency and transparency model and our clients in Manchester know exactly what they are being billed for. We make sure that our clients are comfortable and understand what steps need to be taken to achieve the short-term and long-term goals of the business. Our services include bookkeeping, online accounting and CRM solution, payroll, auto enrolment, tax planning and accounts management. Our team is very learned and qualified and applies the knowledge skill set to help any business from any industrial sector. Nomisma Solution is our white labelled, industry standard accounting solution that many small businesses in Manchester are using to maintain their accounts. Our cloud-based solution helps small businesses manage and access their accounts at anytime and from anywhere. Nomisma Solution is very user friendly and has other modules, apart from accounting, which can be beneficial for small business. The United Kingdom government has made changes to how workplace pension scheme works in order to help more residents of UK secure their retirement. Auto-enrolment is a new requisite for employers in the UK under the pension reform law. Under this law introduced in 2012, all employers must sooner or later put forward a workplace pension scheme (WPS) and automatically enroll eligible workers in the scheme. This requirement has been implemented by many employers ever since October 2012 and will be relevant to all employers by 2018. Through auto enrolment most employers in UK will have set a Qualifying Workplace Pension Scheme (QWPS) and automatically enroll their qualifying workers. DNS Accountants in Manchester help employers make contributions to their employees’ retirement fund in each pay period. Our tax accountants in Manchester guide small businesses and individuals with tax planning and make them understand the tax structure and expenses that can be claimed to help reduce the payable tax. Our accountants in Manchester help small businesses manage accounts payable and accounts receivables, along with preparing the monthly financial statements so that the owners have a clear picture about the business performance. Our team aims to relieve our clients from the burden of managing the books of accounts and any accounting error or trouble. With our cloud-based bookkeeping solution and our team’s knowledge we know exactly how to reduce the overhead costs. 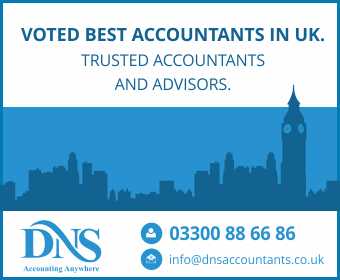 DNS Accountants – top accountants in Manchester, provide specialized accountancy and tax services that are adapted to the personal and business needs of small-business, freelancers and contractors. Our chartered accountants in Manchester and tax accountants focus on providing dedicated and professional services to all local businesses and individuals operating in Salford, Droylsden, Middleton, Prestwich, and Failsworth.